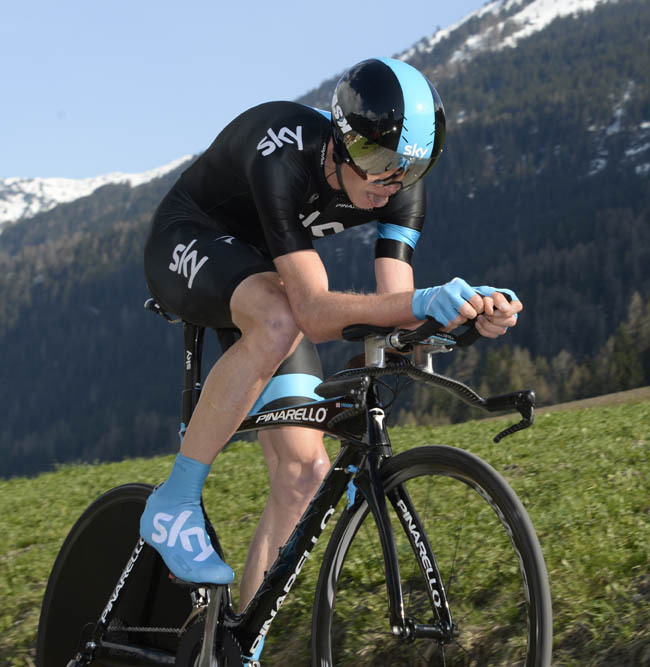 Chris Froome (Sky) got his Tour de Romandie campaign underway with a convincing win in the short opening prologue time trial on Tuesday. The British Sky team leader was last man off, and blitzed the 7.5-kilometre course in a time of 13 minutes and 15 seconds, six seconds clear of second-placed Andrew Talansky (Garmin-Sharp) and 13 seconds faster than Robert Kiserlovski (RadioShack-Leopard) in third. Time trial world champion Tony Martin (Omega Pharma-QuickStep) found the ascending course not to his liking and finished outside the top ten, in 16th at 29 seconds. Wilco Kelderman (Blanco) put down an early fast marker, but the 22-year-old Dutchman’s time finally started to drop down the leaderbaord as the top-seeded riders came through. From the start in La Chable, a short flat section allowed the riders to warm up before the climbing started – culminating in a draggy 2.5-kilometre ascent to the finish in Bruson at 1110 metres above sea level. British first-year pro Josh Edmondson put in a solid time to place 42nd, with Sky team-mate Peter Kennaugh in 35th. Froome and his Sky team-mates now face the tough task of defending the leader’s jersey throughout the six-day Swiss race. Last year the event was won by Bradley Wiggins (Sky) on his way to victory in the Tour de France, a situation that Froome is hoping to emulate this year. 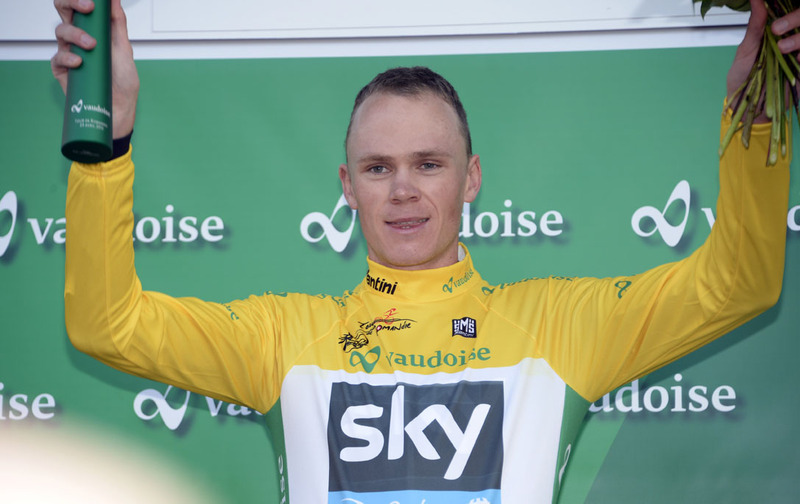 So far in 2013, Froome has won a stage of the Tour of Oman and won the race overall, won a stage and Criterium International overall, and won a stage in Tirreno-Adriatico and placed second overall.